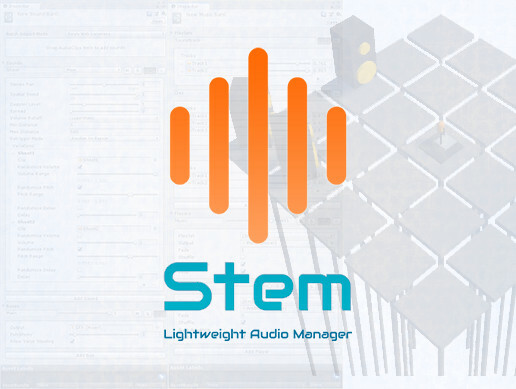 Stem is a robust and versatile audio manager. It's been designed from scratch to be extremely fast and easy to use. You do not have to modify your project scenes: create a few assets, fill them with audio clips and you are ready to go. With Stem you get a great solution for your audio needs such as sfx variations, layered music playback, automatic crossfades, pooled sounds and much more! • All source code included.